Made from components of the Marussia F1 car, the Armin Strom Racing Tourbillon is a limited edition of only two pieces. 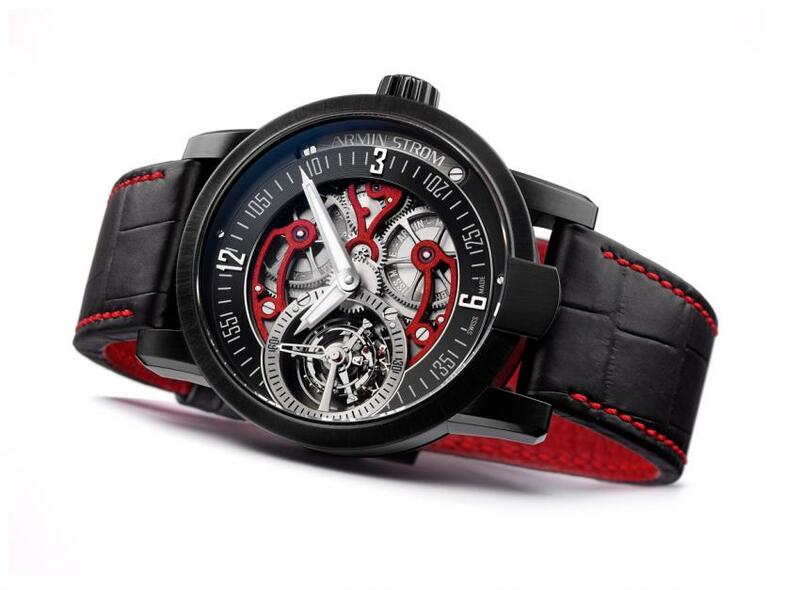 Master of skeletonised watches, Armin Strom, the official timing partner of the Marussia F1 Team, announced Racing Tourbillon, a limited edition of only two pieces. The bridges of the watch are built from pieces of the original Marussia F1 car. On the occasion of its third season as official timing partner of the Marussia F1 Team, the Armin Strom Watch Manufacture is setting the trend with the presentation of two limited series RACING TOURBILLON models. The distinctive red elox-coated and skeletonised bridges of its own in-house manufactured ATC11-MR tourbillon movement consist of an aluminium alloy, produced from components of an original Marussia F1 Team – F1 car. The beauty of the hand decorated movement – a brand characteristic of Armin Strom collections – can be admired through the sapphire crystal front and back and pays testament to the Manufacture’s full spectrum of watchmaking skills. The exclusive RACING TOURBILLON watch, in the Marussia F1 Team red and black colours, becomes the sixth model in the Armin Strom Racing Collection.